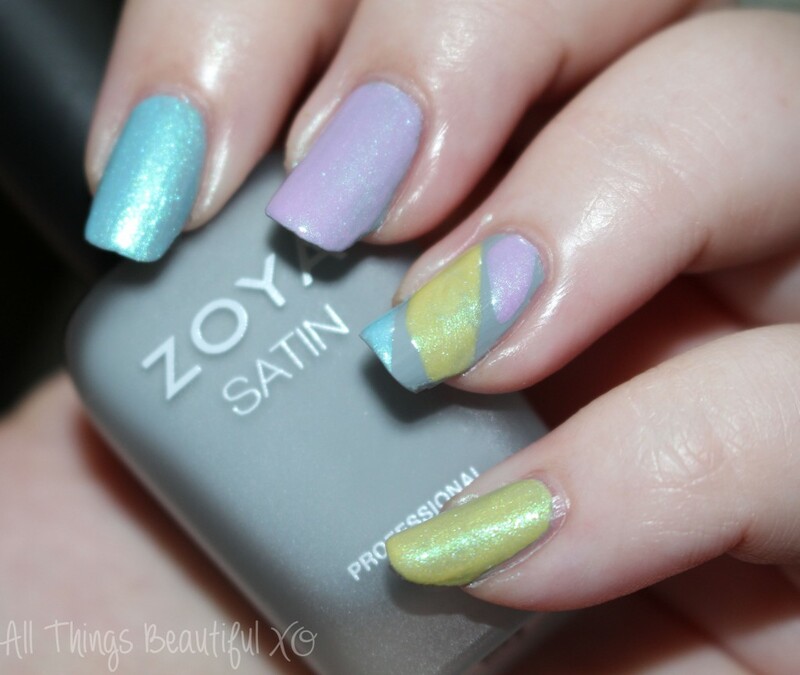 Last week I wore Zoya Tove from the Naturel Satin Collection I reviewed here as kind of a neutral palate cleanser. This shade is a very gray-based blue & just has an awesome formula. Well…within a few days I needed some pizzaz. Are you even slightly surprised? 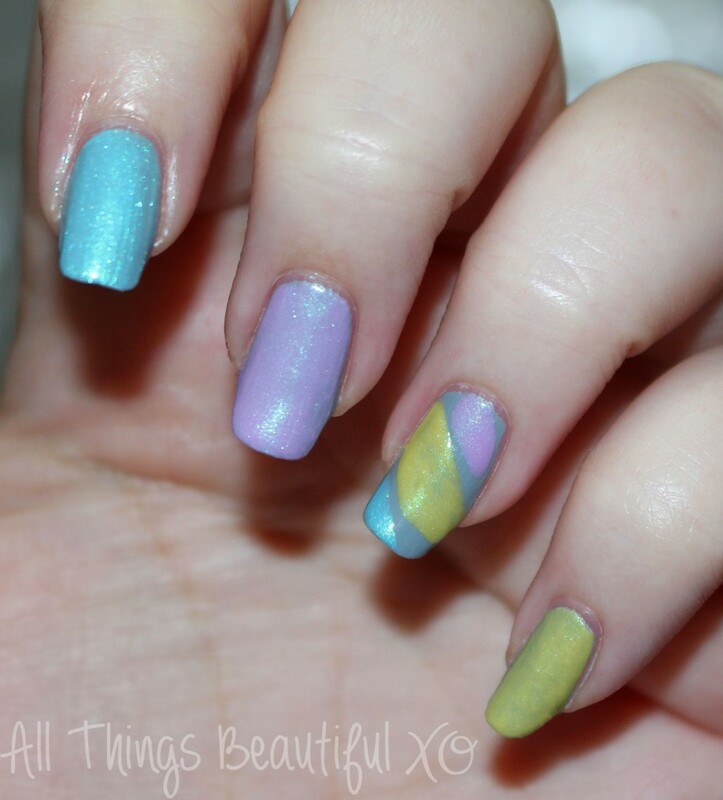 I decided to break out some of the new Zoya Delight Collection for Spring 2015 which are new to me & created this look in maybe 3-5 minutes. Check it out below! The nice thing about not having any chipping on your nails is that you can totally fake a new manicure…because some of us (ME) can be lazy. Because the Zoya shades in Daisy, Rayne, & Leslie had this gorgeous shimmer throughout I figured I’d test them over Zoya Tove just to see how they looked with a quick application. Lazy? Yes. But effective! I have Zoya Tove as a base across all of my nails, 2 thin coats. On my pointer finger is 2 coats of Zoya Rayne, middle is 2 coats of Zoya Leslie, & then on my pinkie is 2 coats of Zoya Daisy. I topped everything with a new top coat I don’t think I’m feeling unfortunately- not as shiny as I’d like! How to do you spice up a basic color when you grow tired of it? 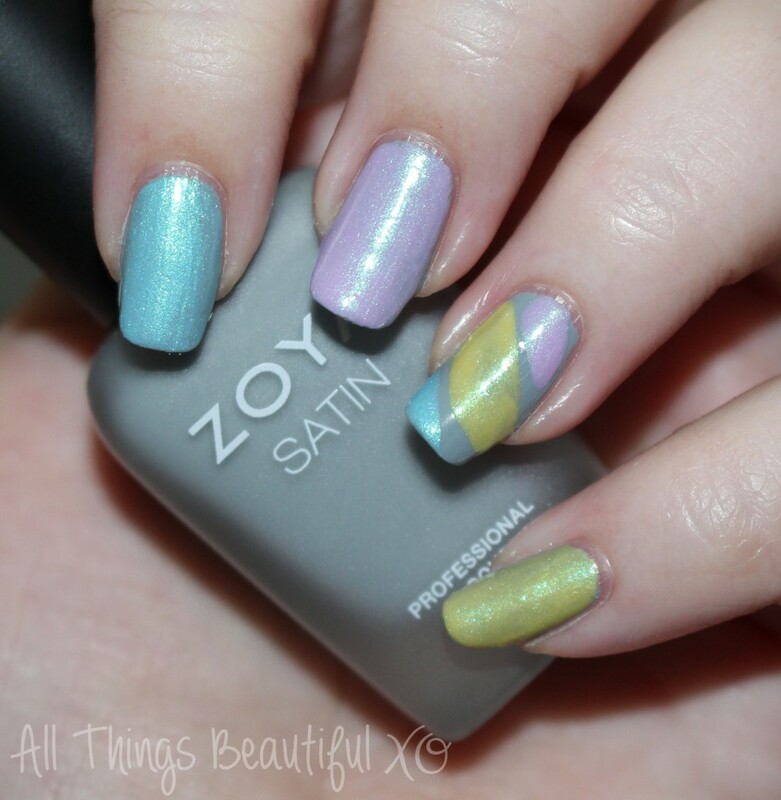 Are you digging the new collections from Zoya? Favorite shades?